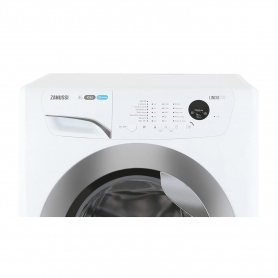 The Zanussi ZWF91483WH washing machine has been built with performance in mind. 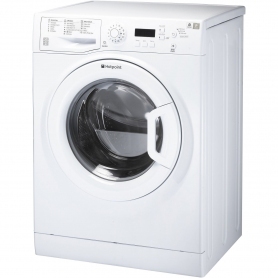 It comes with incredible features and programmes to leave your laundry cleaner than ever. 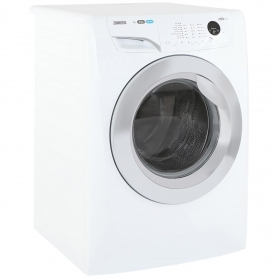 With its spacious 9 kg capacity, this washing machine can wash up to 65 items in a single load and is ideal for bedding. 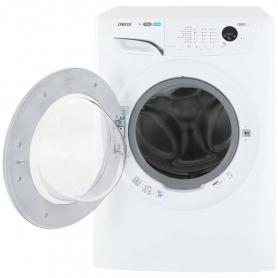 The drum is designed to be gentle, ensuring your delicates are treated with care during every wash, and the XXL door opens to a generous 175°, making loading and unloading your laundry easy. Thanks to the Aquafall wash system, the water and detergent is delivered to the centre of the load, allowing for even distribution within the drum. This means every part of your clothes will come out clean. 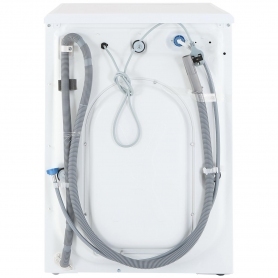 At the end of the wash cycle, a water jet inside the drawer removes any leftover detergent residue, keeping your machine clean and ready for next time. This model also has a unique AutoAdjust feature, which controls the time, water and energy consumption, tailoring the cycle to the load. 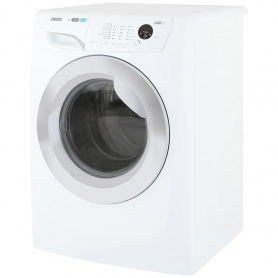 Remove excess water from your laundry efficiently with the 1400 rpm spin. This reduces drying times, so your clothes will be ready to wear again before you know it. Use the Mini 30 programme to get your clothes clean in a jiffy. You can wash up to 13 items in 30 minutes at 30°C using this clever cycle. If you’re in the mood to give your bedding a treat, the dedicated duvet programme is on hand to provide a deep clean. Freshen up your bedding and blankets in no time with the ZWF91483WH. The impeccable A+++ energy efficiency rating speaks for itself. The ZWF91483WH consumes less energy per cycle than other models, saving you money and helping to looking after the environment. The built-in inverter motor is not only energy efficient and durable, it also helps to reduce noise during the wash cycle. 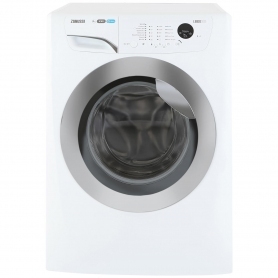 Fantastic features make this Zanussi washing machine a must buy. Order one today.